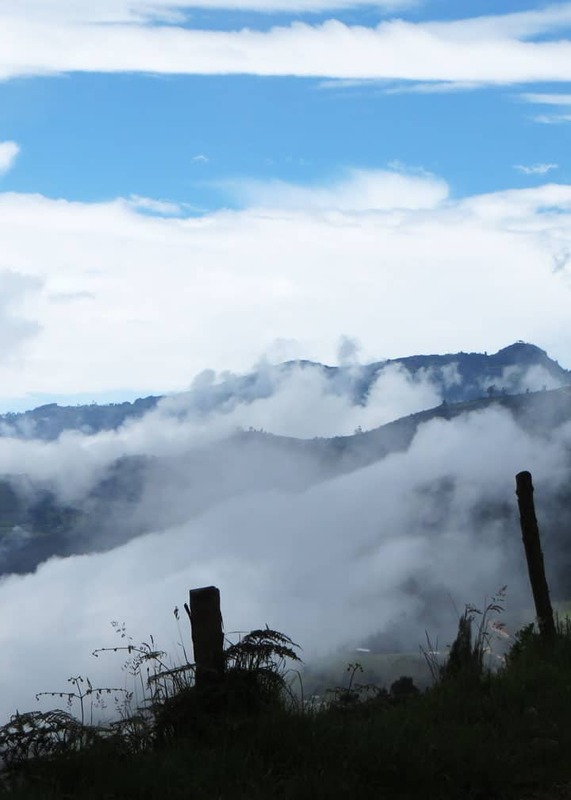 We have lived and traveled in the beautiful Sierra (mountains) region of Ecuador for almost 5 years. This post is all about how breathtaking it is! The Sierra takes in the Ecuador’s Andes mountains and the Interandean highlands. We’ve traveled from Azauy to Cañar to Quito and we’ve put some of our favorite photos into a video slideshow. The mountains, fields and valleys are gorgeous, we don’t get tired of seeing them. When we were thinking about moving to Ecuador we imagined ourselves on the beach, but I think the scenery here in the Sierra is just as breathtaking. The way sun and clouds play off the landscape is always changing. And when the clouds rise up from the valleys to the tops of the mountains it’s a spectacular sight. Planning a trip to the Andes? Here are the top 15 things to do in Ecuador’s Andes. Have you been to Ecuador’s Andes? Please share your experiences with us by commenting on this post. Ecuador is beautiful, I can not wait to get there soon. I’m still waiting to hear answers to some questions I did to you a while ago. I love Cuenca, Ecuador. Thank you for all the info, videos and photos. It’s best to ask your questions on a post – and we’ll do our best to answer them. In late August my wife and I will be moving to Cuenca to live. We intend to keep our present email address for a while, but will rely more on our Google mail address and eventually leave the Shaw address completely. Could you ^please change the address now; it will be rameau38@email.com. Thanks! What fantastic photos! The Ecuadorian Andes are stunning. You have not pictured Nono! Your pictures are amazing, and being an Andes fan, I should say Nono is the Ecuadorian Switzerland! The Andes at their very best, wild flowers, over 8 species of hummingbirds, local people, all in one place. You will be surprised! No, we haven’t been there yet. Looks like a beautiful area. Am already a subscriber to newsletter. We hope to move down there from Tucson, Arizona in a year or two or three. We are retired and in our mid sixties. I am an Amateur Astronomer and Telescope Maker and am a very experienced Public Astronomer. I need some (any) connection to anyone who is into the hobby, or doing the same thing, so that I can get a much better understanding of what the situation is there. Primarily, I need to know what the ratio of actual telescopic clear skies there are from season to season. And what regions/ altitudes would be best. My hope is to maybe set up an actual Public Observatory there, if none exists yet. I just need a connection to somebody there who is willing to communicate with me all the time about all of this. Even if they have no equipment (which I can easily provide) I need the enthusiasm from them to look into all the things I need to know about. I hope that either you, or somebody you know of can hook me up with somebody there. By the by; I am always looking at you posts, and the links. Much more about the clarity, or lack of, of the skies would be of extreme help to me. I am still trying to find a good weather satellite link for the area but the pickings are not great. We just today saw your old TV spot on House Hunters International. I believe that you said, somewhere, that you have moved from that place, though. Can’t quite remember. I’ve been monitoring you posts for about a year now. Oh, and yes, we will be buying some of your recommended items when it comes time. Hey Jim – there is a planetarium near Parque de la Madre in Cuenca. We haven’t been there yet – but I guess it’s time. I don’t know anything about astronomy – maybe another reader will be able to help with some specifics. Such a pretty place! it holds a special place in my heart. I hope I can go back to Ecuador soon.